Sport, generally speaking, is so popular because it is a unique form of storytelling. It is an objective narrative that resolves itself for each viewer in an incredibly subjective way. There is a winner and a loser, but there is also backstory, history, performance, criticism, and there is the story sport tells us which is inherently terrifying. The is incredibly immersive; the team is “we” and “us”, or at least it feels that way, but “we” have no control over the outcome. The fan is a protagonist of the story, but the individual fan’s position in the narrative is unknowable, private, filled with inexpressible passions, memories, traditions, and mostly, fear. Fear that your hopes, your dreams, will somehow slip through your fingers. That disaster will strike. That your antagonists– your neighbors, your in-laws, your best friends from grade school—- will better you. The story only has one ideal ending, a championship, but only one set of fans get to experience it each year. And when the next year arrives, the narrative renews itself again, with another year of experience, of history, with new players in a new context, everything shifts again, and you’re terrified again. And there is always a next year. College football is, for me, the American sport that best exemplifies this relentless narrative. It is the most unforgiving major sport. In the NFL, you can lose four or five games and be a great team and win the title. Baseball? If you lose 62 games, it was a great season. Basketball? Lose 20 of your games and you’re probably in the hunt. And all of them have multi-round playoffs that allow teams to grow into the season, get hot on a playoff run, and have a chance. College football? One loss and you’re probably on the outside looking in on the possibility of winning it all. Two losses? Forget it. And when you, like me, love a team like I love The University of Michigan football team, history and expectation and hope and terror all co-exist with a decade of massive underachievement that has seen our rivals simultaneously thrive with excellent year after excellent year, and you know the narrative: ultimately, the thing we want only happens for one team, and likely, that team is not us. Something will happen, something unexpected, something dreaded, and likely, it will happen to us. To Michigan football. To me. The structure of this story, and my place as a fan inside of it, is the story of an endlessly renewable hope that is annually, suddenly, often unexpectedly, extinguished. Michigan’s only national championship of my entire life, cemented in the 1998 Rose Bowl, was one of the two best sports days of my life (the 2005 Champions League Final being the other). Otherwise, the question is usually not if disappointment will happen, but just how cruelly it will happen and when. I enrolled at Michigan in 1989. I watched the team for years before that, but let’s draw a line there (so that I don’t have to remember Michigan blowing a huge 4th Quarter lead against Miami at home). 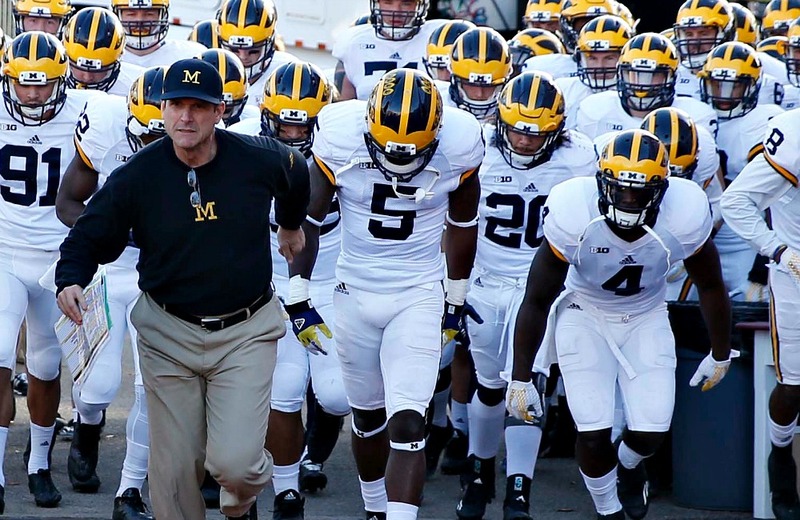 Expectations are high for Michigan football in 2016. Here is the story of how you properly temper those expectations. 1989. My first Michigan home game as a college student. 1990. Ranked #1. No pass interference call on a 2 point conversion against MSU to win. 2001. Ranked #6. “Clockgate” against MSU. Longest “one second” in history. 2006. #1 vs #2. It’s there for the taking. Helmet to helmet on Crable and we lose. I’d like to draw a line here, because this is the beginning of a decade in the wilderness. This has been the worst decade of Michigan fandom I have ever experienced. These last ten years have re-calibrated my levels of suffering. Ohio State has stayed the course, Michigan State has risen, and Michigan spent a lost ten years unable to figure out who the hell they are supposed to be. It has been a disastrous decade. 2007. Appalachian State. A D-II school. This is the first game after the 2006 game vs Ohio State and a loss to USC in the Rose Bowl. 2008. Loss to Toledo. Toledo. A year after losing to Appalachian State. Rich Rod era. I can’t bear to look at any more than this. 2013. Clowney ends the Outback Bowl. 2014. Shane Morris Concussed and left in the game which, at the time of the injury, saw Michigan losing 30-7 to Minnesota. Minnesota. This is the death knell of the Hoke era which, again, I can’t bear to watch any more. All of this takes its toll on your confidence, erases all certainty, puts you in everlasting fear of the worst thing happening which, as you can see, often does. Like last year. I actually looked at my wife when we set up to punt and said “We’re going to lose this game.” That is what fandom does to you. You learn that if you expect the worst, and it happens, you can buffer things for a moment. But only a moment. It is still just pure brutality. You learn that 112,000 people all screaming in unison, trying to bend history to their will, cannot change anything. If Michigan football were simply a legacy of pain, I couldn’t bear to watch any more. Certainly, there are huge swaths of great joy in this same timeframe, but the heartbreak sticks and, for me, it is how I frame my own expectations, where I place myself in the narrative. This is the “me” in Michigan football. No swagger, no arrogance, every single hope tempered by that needle in my spine reminding me of the hurt to come. There is a straw man that rival fans have built that they feel embodies Michigan fans- entitled, delusional, arrogant. The people who make that argument don’t have an inkling of who I am. Every year, the pain comes to every team but one. Every year, a moment of madness becomes an irredeemable loss. This is why, when something like Charles Woodson in 1997 comes along, it seems like a mirage, an impossibility. Did it happen? Did I experience it? Did we win a National Championship? How? 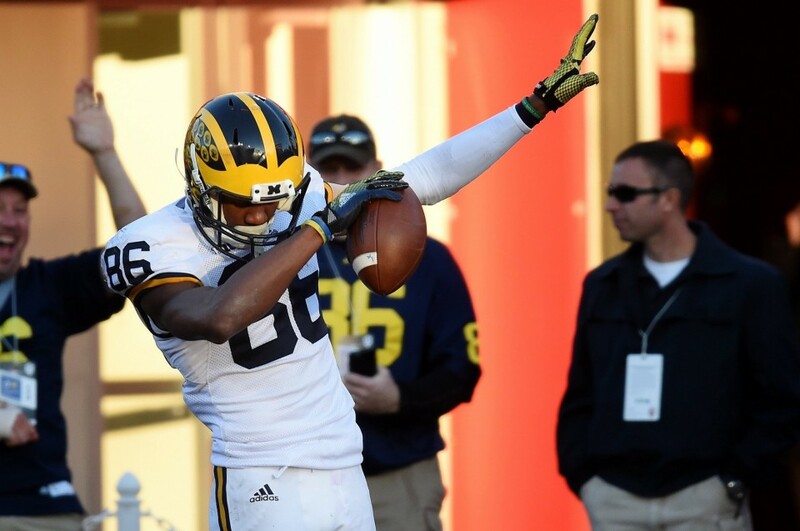 In 2016, expectations are high for Michigan football. Lots of chatter. Talk on social media. Great coach with something to prove and no titles at any level. Love him or hate him. Hype. Possibility. But I can’t help but look down the years, through my own experience, and I know what is more likely than not. And yet and still, I can’t wait for it all to start. I can’t wait to secretly, quietly, hope. To find myself in that hope even though the overwhelming odds are that disappointment is coming. There will be moments when I can’t look. Or maybe something magic happens. And, despite history, despite the odds, despite everything I know about Michigan football, despite myself, I can’t wait.